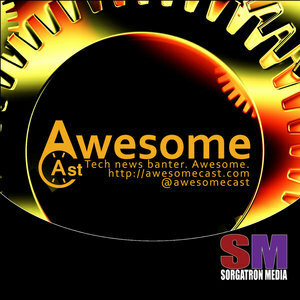 We found 9 episodes of AwesomeCast: Tech and Gadget Talk with the tag “ar”. Chilla and Sorg are holding down the fort at Sorgatron Media Studios as they bring you this week in tech news. We’re back with Katie, Chilla, and Sorg as they talk about some tech. John from Looking for Group and Academy Pittsburgh joins the show to talk this week in tech. We’re back on schedule after last week’s brief interruption. Katie is in Studio A with Sorg and pizza, while Chilla joins us from Studio C to talk this week in technology. Sorg, Chilla, and Katie are joined by Jack Morgan of Duolingo this week. They’re sharing some tech news. Brian Crawford of The River’s Edge (and soon-to-be The Metal Edge) joins Sorg and Chilla to talk about this week’s tech news.